Your Way We Do Manual has a new dashboard, and we are sure you will be as excited about it as we are! Log into your manual now to explore the dashboard for yourself, or continue reading to learn more about how this new feature can help you monitor day to day responsibilities and streamline your workflow. The top section of your dashboard (pictured above) contains tabs that offer at-a-glance information about checklist steps that you are responsible for, tasks that are due, acceptance requirements, and Activated Checklists that require your supervisor sign-off approval. Click the tabs in this section to view your items, then click the titles in the list to go directly to the required checklist, policy or procedure. Easily view the number of activities you are responsible for in the Activities section. 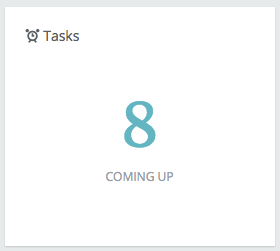 See the total number of tasks that have been assigned to you in the Tasks section of the dashboard. Click the numbers shown in your Activities and Tasks boxes to view detailed lists. Your dashboard also tracks the procedures, policies, and Activated Checklists you use in order to show you the Top 5 items you visit, as well as the five you visited most recently. Click the titles in either list to go to the list item. You are still able to use the top navigation menu and push navigation menu within your manual just as before. To return to the dashboard at any time, simply click the company name or logo at the top left of the screen.